Our classes teach the fundamentals of golf. Coaches properly prepare children in all aspects of the game in a fun and engaging way. Kids learn to compete in our family-friendly tournaments and leagues. ALL PROGRAMS SUSPENDED FOR 2019. To unite junior golf initiatives worldwide and become global ambassadors for junior golf. Learn and play golf year round! All kids from beginners to advanced players may now take advantage of one of the most extensive and comprehensive golf programs in the country. Little League atmosphere on the golf course! 2018 Fall Inter-club League begins in September. PGA Jr. League play is in June and July. Both leagues use a fun, unintimidating scramble format that kids love. 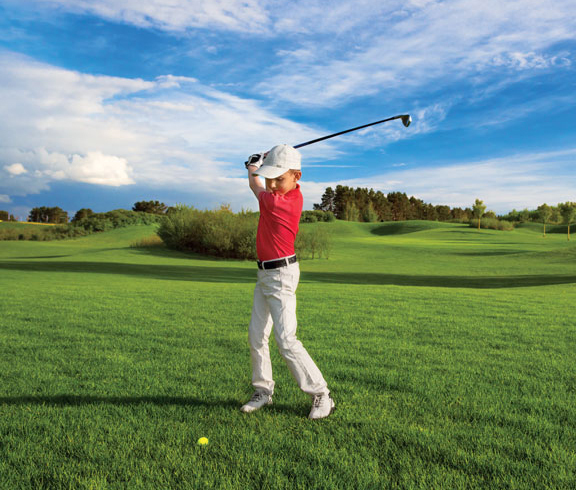 Fundamentals of the golf swing, ball striking, pitching, chipping, putting, & bunkers. Learn about golf playing fun games. If you would like to make a tax deductible donation, click the Donate button below. Thank you for supporting our non-profit organization and junior golf. 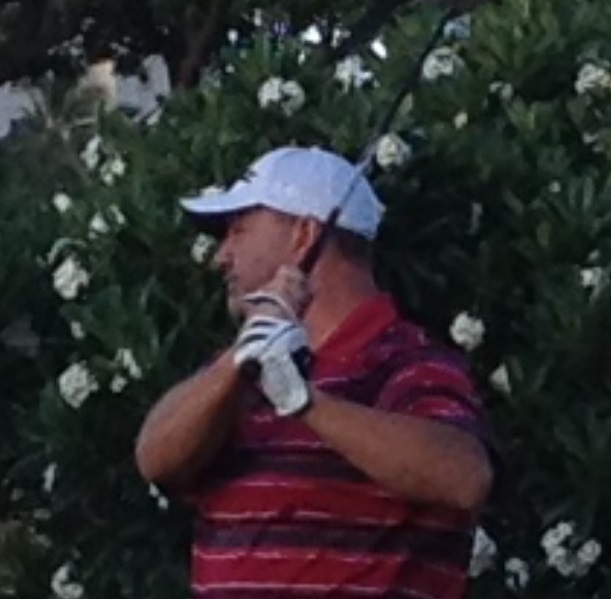 Coach Russ Brown grew up in the greater Boston area playing golf since the age of 9. After relocating to Myrtle Beach 13 years ago he graduated from the Golf Academy of America and has been teaching golf to all levels of players including junior golfers of all ages. 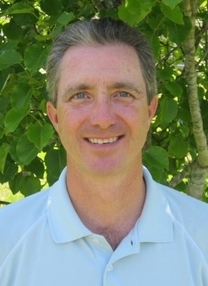 Russ was a former lead coach and program director with The First Tee of Myrtle Beach between 2005 and 2010. He has coached with Special Olympics, became a U.S. 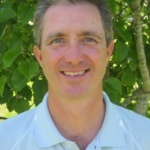 Kids Golf Certified Instructor, and organized a U.S. Kids Golf Local Tour which hosted 75 tournaments for kids over 3 years. In 2010 Russ founded the Myrtle Beach Junior Golf Foundation and is also a co-owner of The Golf School of Myrtle Beach at River Oaks which offers golf lessons to adults as well as juniors. Coach Kevin Hollen has been playing golf his entire life and has been coaching for the Myrtle Beach Junior Golf Foundation since he came to Myrtle Beach from Pennsylvania. Kevin is now on the board of directors for MBJGF. 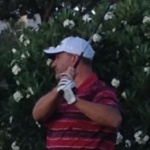 Kevin is also an instructor at The Golf School of Myrtle Beach at River Oaks. Myrtle Beach Junior Golf Foundation is a non-profit organization whose mission is to provide Junior golfers of all ages and skill levels the opportunity to play competitive golf and receive quality instruction on a year round basis in the Myrtle Beach area. At River Oaks Golf Club in Myrtle Beach the MBJGF coaches are dedicated to helping kids learn the game of golf. The after school clinics and summer camps are aimed at teaching kids golf fundamentals while having fun. Playing the game of golf develops character in young people. Players learn to get along with others, to make good decisions, and to do the right thing. They learn not to give up, to be responsible for their own actions, and to be good sports, win or lose. MBJGF strives to help junior golfers improve to their fullest capacity, reach their ultimate goals and live their dreams. Even the pros don't discount the value of golf lessons. Set your son/daughter up for success by enrolling them in one of our programs.